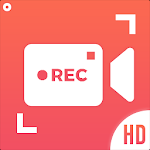 Install the best and easy to use screen recorder Now and start creating your first, amazing video record! 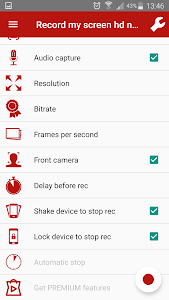 Our Screen Recorder is a free, powerful, high-quality (HD) screen recorder for Android devices that allows you record smooth and HD screen videos. With a lot of functions such as screen capture, video recorder, video editor and no rooting needed ( No Root ), This Screen Recorder provides a simple way to record screen videos, like game videos, video calls, chat, live shows …. It making recording simple! 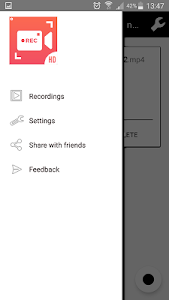 Screen Recorder app is the number one easy-to-use, convenient screen recorder that allows you to record, capture and edit videos. Anyone can use the 100% free features to make the best videos! How to record a perfect Video? ** You can record your voice while recording videos using Facecam technics! ** You can record Short / Medium or long videos without worrying while saving onExternal Memory (SD Card)! ** Simple tools to edit and modify what you record using a Variety of Video Editing Features! 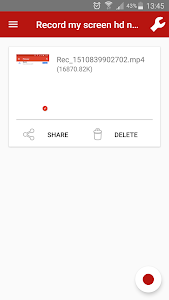 ** Save your work on SD Card or you can share it on social media ! 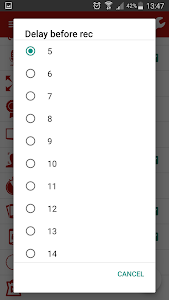 This tool allows you to stream your screen to YouTube, Facebook and insta …. Don't hesitate and download This Screen Rec now! 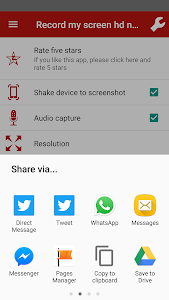 Similar to "Screen Recording - Video Editor - Screen Shot"